Kasper is a founding partner of tasTE! and responsible for the development and guidance of the hospitality concepts. He is a marketing strategist and innovator through and through. Kasper graduated from Plantijn Hogeschool in Antwerp where he got his bachelor’s degree in Hospitality management. Afterwards he worked in the hospitality industry for five years, for Conrad Hilton and InterContinental Hotels. 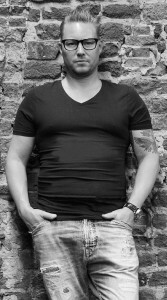 In October of 1997 he opened up his very first restaurant in Antwerp, together with his wife Danyelle van Thoor. Danyelle is a founding partner and the financial director of tasTE! She’s responsible for financial strategies and setting up the bookkeeping plus the accompanying control systems. After getting her bachelor’s degree in Hospitality management from Plantijn Hogeschool in Antwerp, Danyelle van Thoor worked in the hospitality and catering business for about four years, working for different Hilton hotels and Thomas Telford Services/One Great George Street. She followed that up by founding her own company together with her husband. Our big hospitality adventure began in 1997 with the very first European wok restaurant De Wok en ‘t Tafeldier. After a very succesful start, a number of other restaurants soon followed, one of them being the fast casual concept Wok A Way, the Asian Brasserie Chilli Club, Brasserie Appelmans & Absinthbar, Wok & Tandoor, the pop-up winter restaurant Stübe, restaurant Josephine’s with summery pop-up Summer Josephine’s and the latest addition to the family, our bar The Dirty Rabbit. In order to keep up with the many requests, our fine food & cocktail service Stuart Catering was founded. The same service, quality and creativity, but on location! The drive to keep on innovating and improving guarantees that we have more daring (pop-up) restaurant and bar projects lined up for the following years. We have always adhered to the same principle in our work: the combination of a daring approach with attention to detail, quality and of course healthy profitability. In order to ensure close control, both for our own but also for external projects, a cooperation on the architectural level was indispensable. So in 2009, years and years of fruitful collaboration with architect Kurt Hereyers finally resulted in the Not Before Ten agency, specialized in the interior decoration of hospitality projects. We progressed with leaps and bounds in another area too… We reinforced ourselves creatively in 2015 by founding the graphic design agency Monkeys at Midnight: experts when it comes to communication, design and web. They take on all creative design for the tasTE! Restaurant Group as well as delivering great work for external clients from the food and non-food industry.